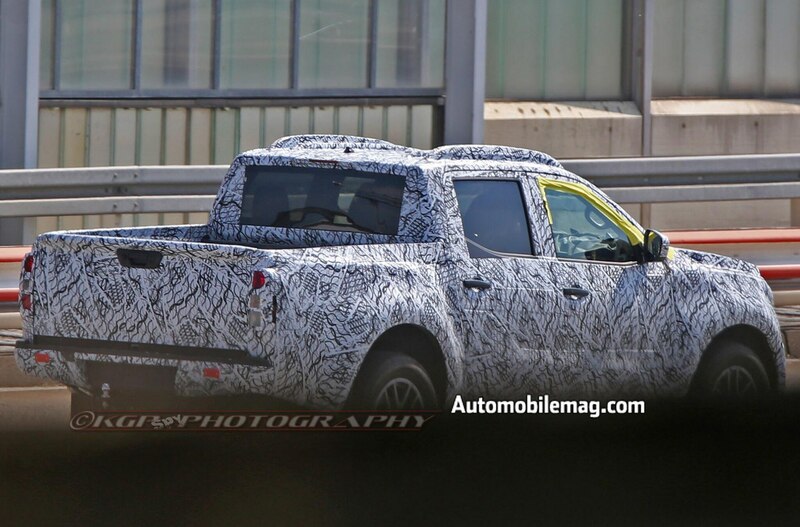 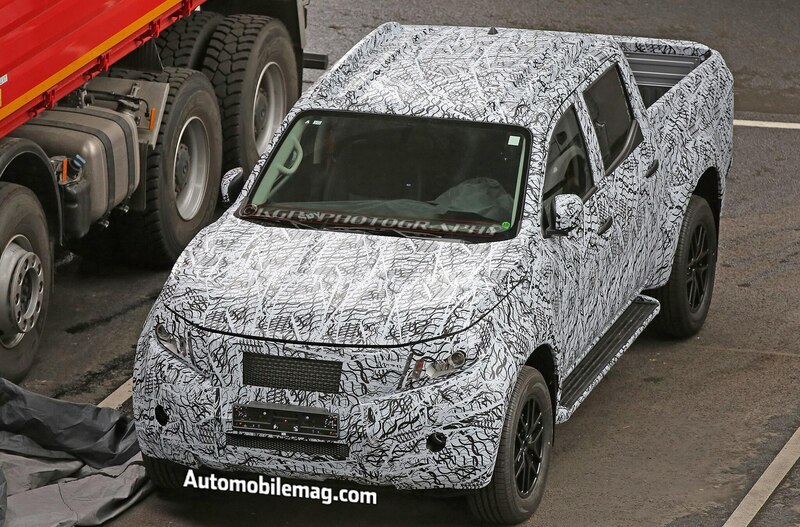 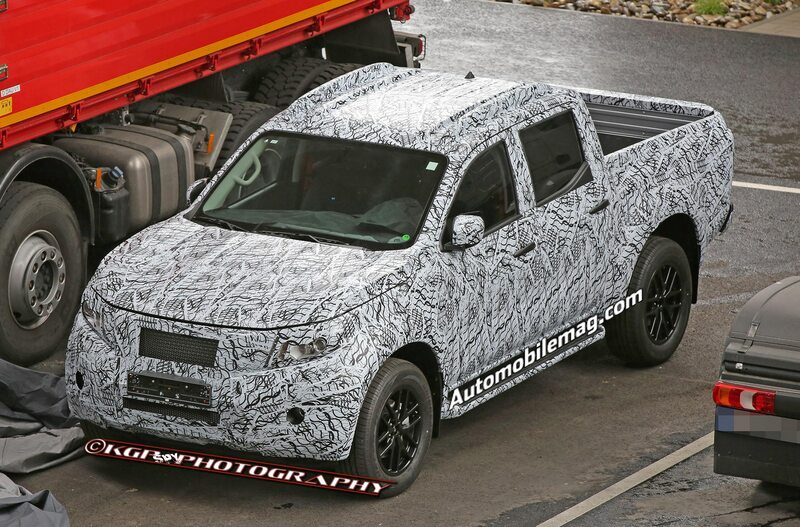 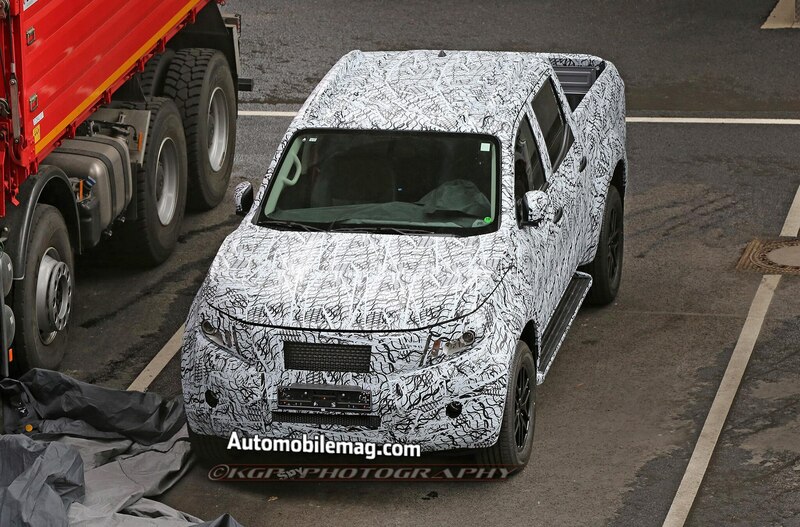 Following a few key details from Mercedes-Benz and an official teaser image, spy photographers have captured a camouflaged pickup that appears to be the Mercedes-Benz truck. 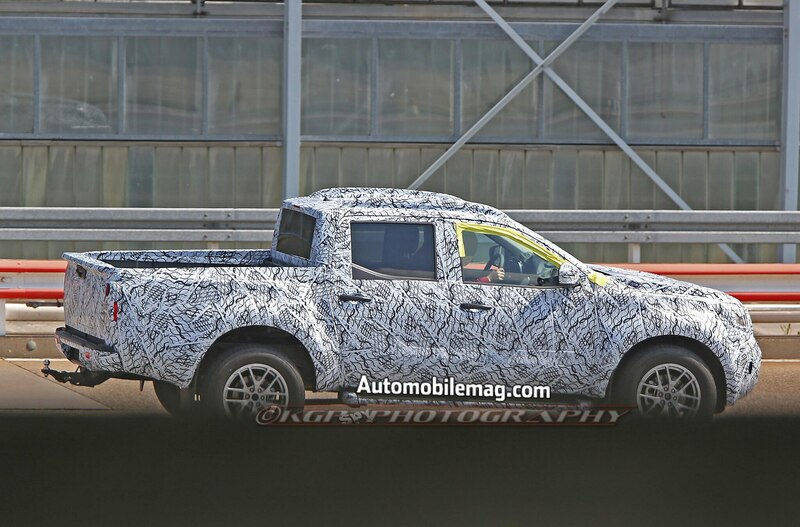 AUTOMOBILE European Bureau chief Georg Kacher revealed earlier this year that the truck will essentially be a re-skinned Nissan D23 Navara, a midsize pickup sold outside the U.S. and not closely linked to the U.S.-market Frontier. 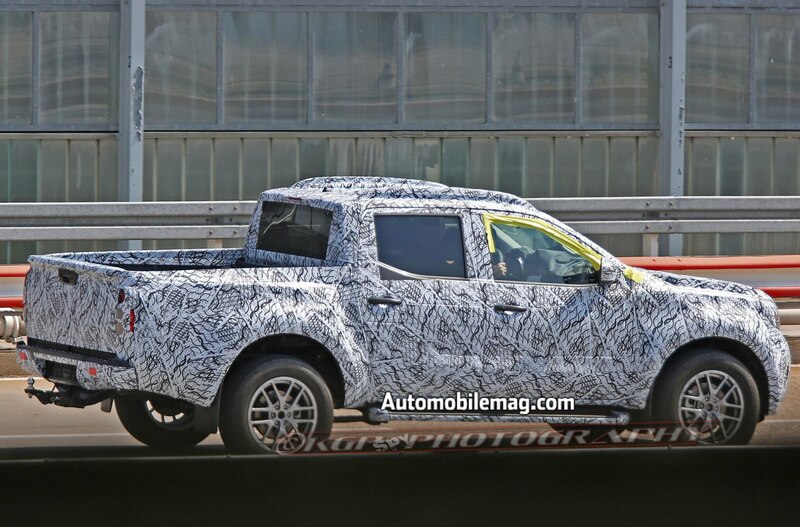 The Daimler-Nissan partnership will likely produce a truck that has all of the renowned niceties of Mercedes with the rugged capability of its Nissan bones. 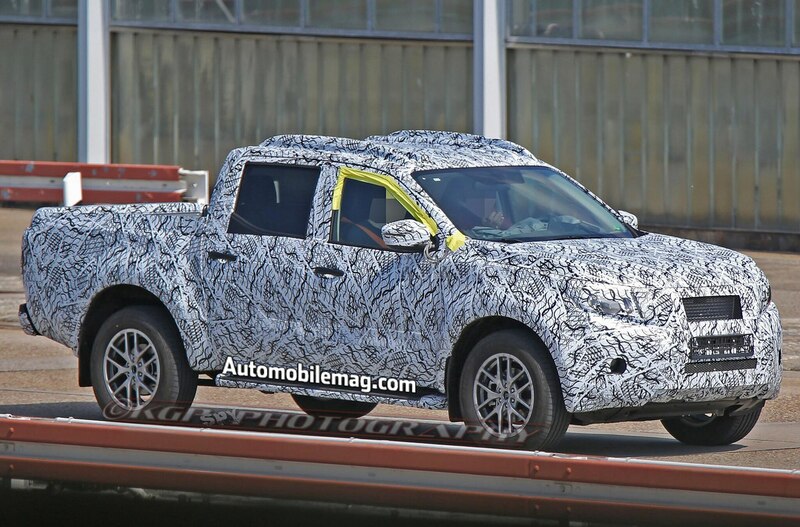 The truck is likely to carry the new GLT nameplate; “GL” is now Benz’s prefix for all things SUV and truck, as seen by entries such as the GLC and GLS SUVs. 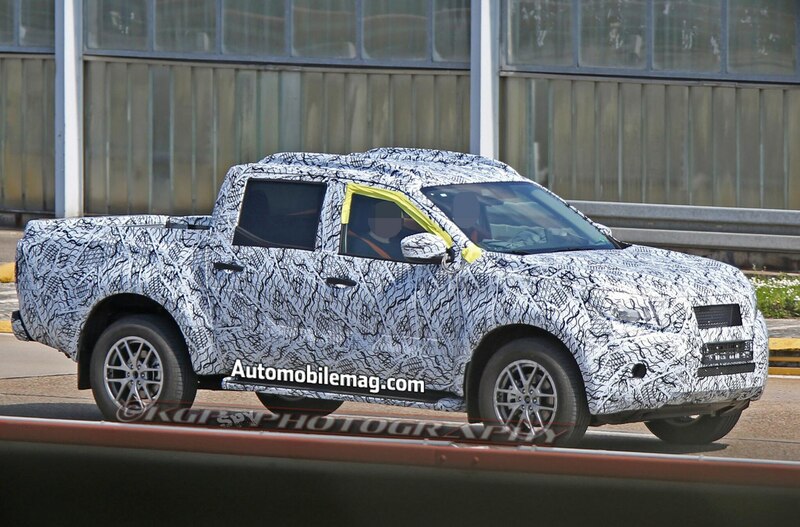 What’s to say this truck is a Mercedes rather than a Nissan? 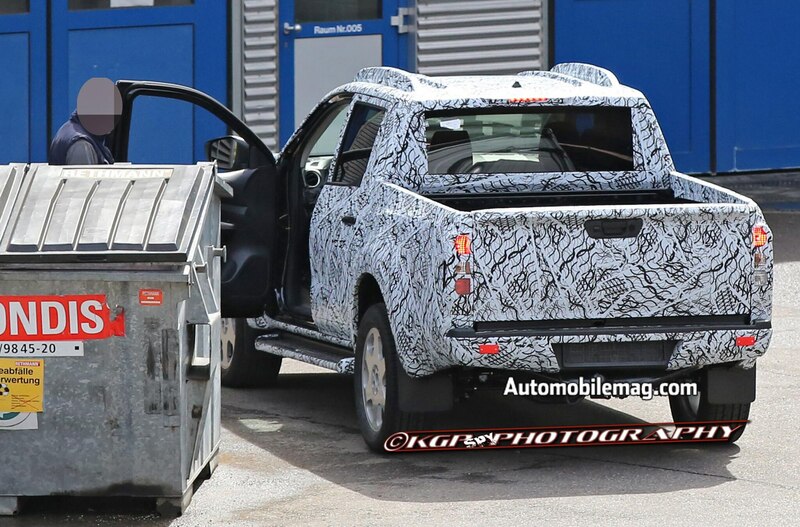 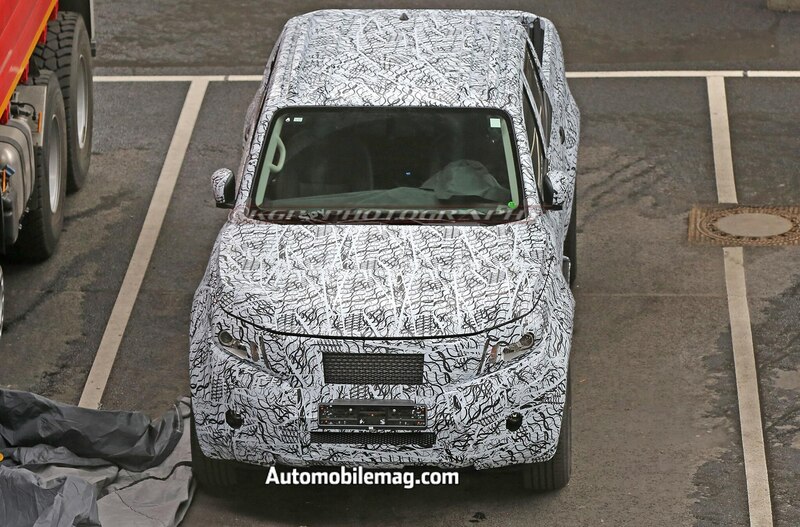 Well, our spy photographers say they captured the mule wearing camouflage typical of Mercedes, and testing at the facility used for the automaker’s industrial and commercial vehicles. 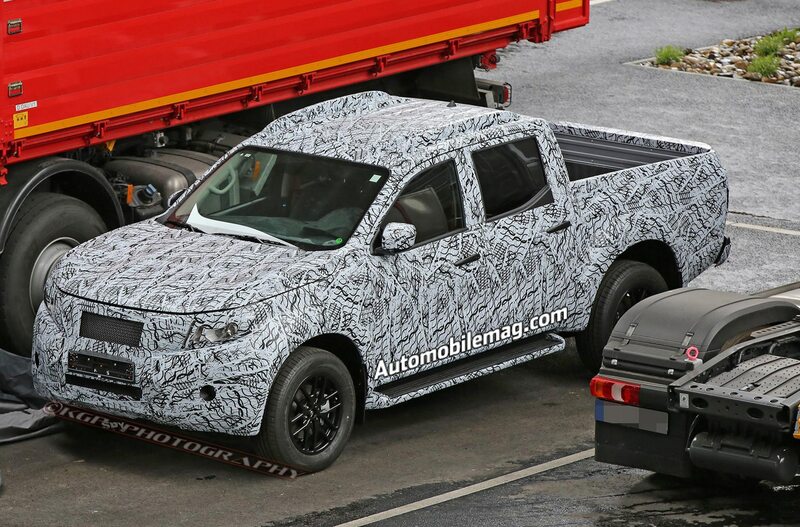 Nothing on the concept itself hints too strongly at the truck’s design, but expect current Benz design cues to carry over onto the mid-sized truck. 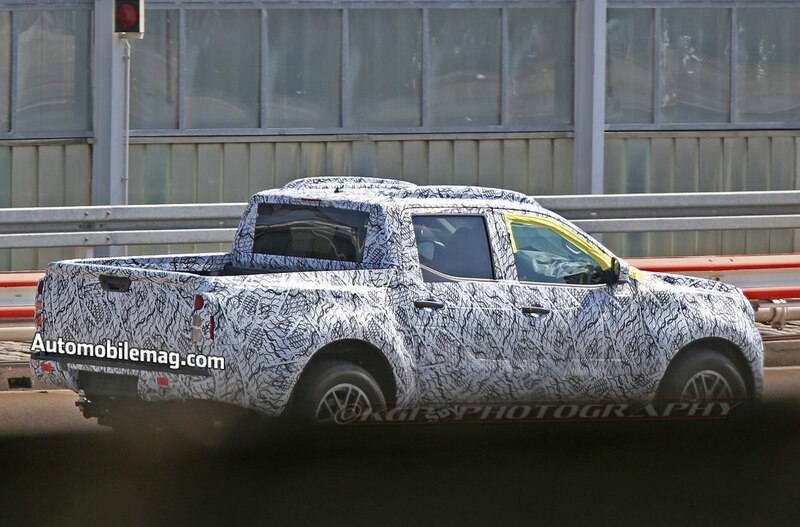 The swept-back windshield seen here is likely to reach production, and we can expect a traditional Mercedes grille up front. 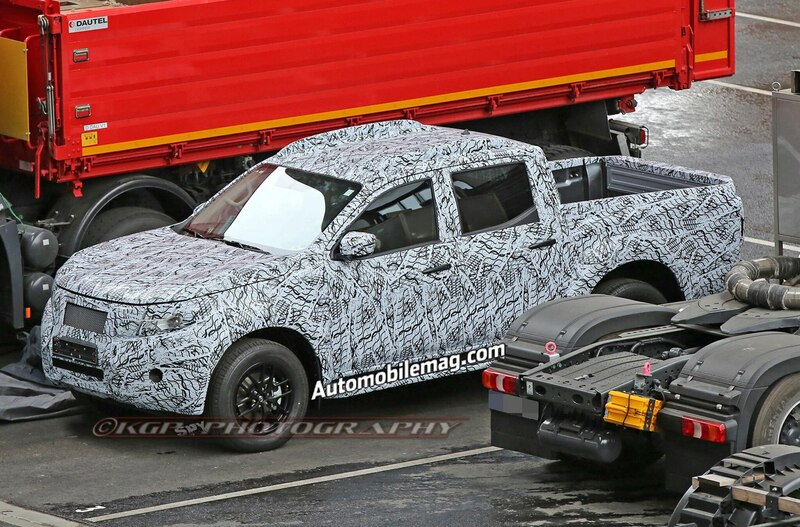 Mercedes-Benz’s plans to enter the mega-competitive truck market seemed like a bold move; in the U.S., American automakers dominate around 90 percent of truck sales, with the remaining percentage filled by established Japanese automakers like Toyota, Nissan, and Honda. 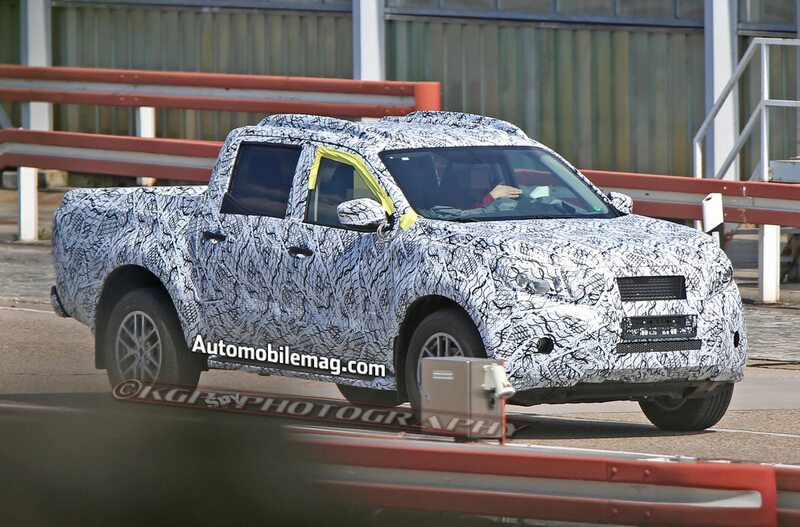 The German manufacturer has said, however, that its pickup model would likely never be introduced to the U.S. market. 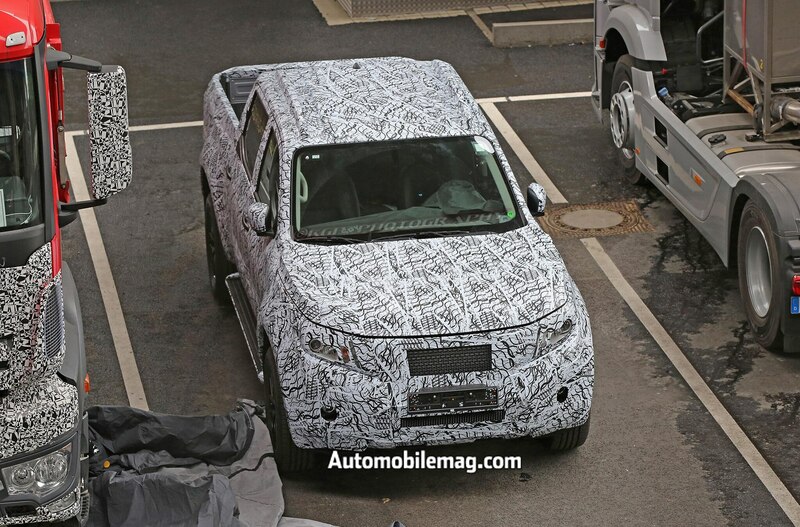 Take a look at the future Mercedes-Benz truck in the photo gallery below.